Dr. Judith Soon completed her BSc(Pharm), MSc and PhD degrees at UBC with a focus on pharmaceutical outcomes research, and completed a diploma (epidemiology and biostatistics) at McGill University with a specialty in pharmacoepidemiology. 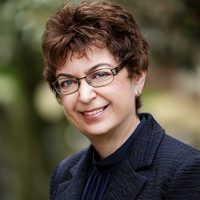 She directed the BC Community Pharmacist Research Network (CPRN) of nearly 200 pharmacies able to collect real-time clinical from 2000-2013. Dr. Soon conducts interdisciplinary reproductive health research and pharmacoepidemiologic studies evaluating changes in medication access and patient outcomes related to reproductive public health initiatives such as emergency contraception and Mifegymiso for medical abortion.